What's cleaning today at Able Carpet Care: Carpet Cleaning or repairs. What do I do? Do your carpets need cleaning or are they worn out! This area has been sun affected after a pot plant was removed. The moisture from the pot plant has allowed bacterial - Mildew to consume the natural fibers only synthetic fibers remain each vacuuming the fibers are extracted and the hole gets bigger until the unaffected fibers resist. This needs to be repaired. This carpet has been bleach, a few drips from a bucket or spray. This cannot be cleaned but can be repaired. 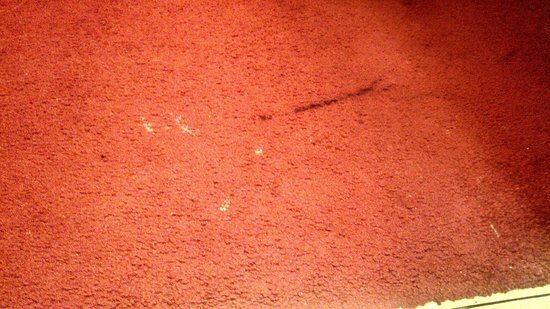 This carpet can be restored through good carpet cleaning.